Welcome to the blender! Open Water Swimming at the 1-mile Sharkfest Swim across Newport Harbor in Newport, RI. 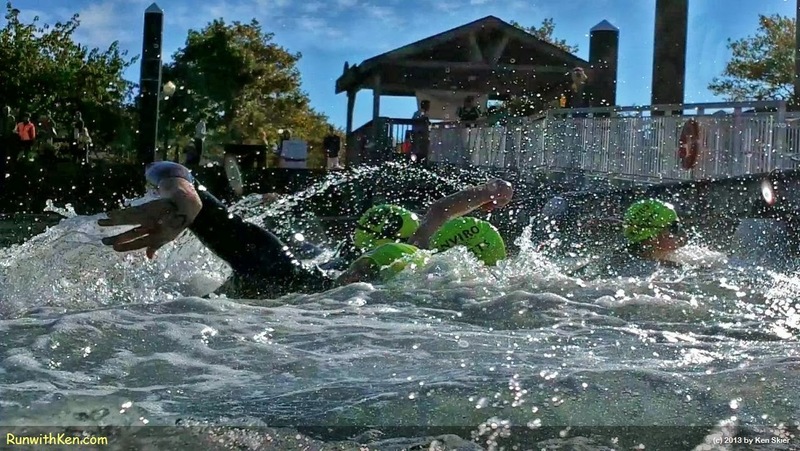 Open water swimming is nothing like swimming in a lap pool! As you can see in this photo, it is a Contact Sport! (I was just a few feet from these swimmers when I took this photo.